After a glimpse into her future as a leader of her people, this family saga opens with the childhood of the great Obeah, Meme Abeje, who lives to see the official end of slavery in her homeland of Martinque, and her niece Hetty’s migration to Canada, where she becomes an abolitionist with husband Dax Rougeaux. After a quick (and confusing) foray into the future of the Rougeaux family in the mid-1940s, Hetty’s granddaughter Eleanor brings the story full circle, when she visits Martinique to honor her Obeah great-great aunt at the end of the 19th century. Jaeckel explores the far-reaching tentacles of slavery affecting the progeny of a slave under a softer yoke of oppression: blame placed on a woman raped, children given away in their best interest, and lack of freedom as free blacks. 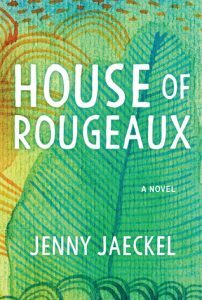 With a strong sense of family, the Rougeaux are tested with secrets against social mores and pass, as sexual orientation is accepted, as a child is accepted, as his mother is accepted. All are loved, a testament to family ties and sense of self that goes back to Abeje’s mother Iya, who kept her children’s African names even as French masters christened them with western ones that meant nothing to her. Abeje and Eleanor’s stories bookend the novel and stand out from the others in their similarities, a free black just as enslaved by society as her ancestor. I was fortunate to receive this wonderful book through a Goodreads giveaway. Anna “Bencke” Grieve’s life changed after Tsar Alexander II’s assassination. In fear for their lives as Jews, her mother, a privileged servant, asked her employers Count and Countess Chernovski to take Bencke and her older sister Esther with them to Canada. The Chernovski’s later adopt them, believing their parents to be dead. Bencke does her best to care for Esther, who suffers episodes from traumatic memories that incapacitate her at times, as she herself tries to fit her eccentric personality into Countess Chernovski’s picture perfect household. Decades later, Anna receives a phone call from the Winnipeg police informing her that her sister has committed suicide by stepping in front of a train. She heads to Canada seeking the truth. The story alternates between this investigation and a backstory of a life fully lived, from Anna’s forced relocation to NYC, to circumstances causing her to be deported to Russia during WWI. In the investigation, Anna learns her sister’s secrets and must live with them now. 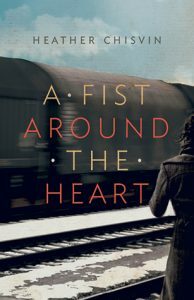 Chisvin brings history to life in Anna’s story, as dear reader sees her torn from her family as a child after her country’s leader is killed and Jews are blamed, and as an activist for women’s rights alongside Margaret Sanger. She becomes a part of the melting pot that is NYC, falls into the fear of Americans who deport her in the war, and witnesses the disorder of Russia as essentially an outsider. Chisvin brings closure to Anna in her mixed emotions of finally being free of her sister as it breaks her heart. The last line of the book is brilliant in its imagery of this closure. I was fortunate to receive a digital copy of this beautiful story from the publisher through NetGalley.